Wide leg trousers with contrasting floral side stripes from Golden Goose Deluxe Brand. 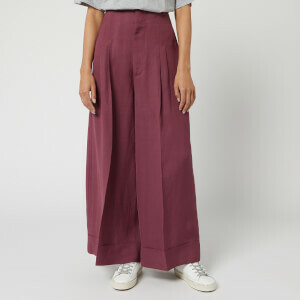 Cut for a loose, flowing silhouette, the ‘Sophie’ trousers are crafted from burgundy satin fabric and have a high elasticated waistband. 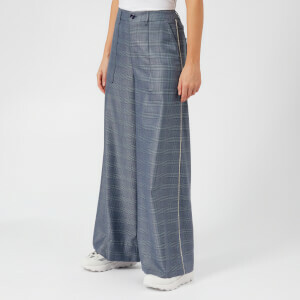 The loose trousers are detailed with single pleats on the front. Finished with two zip fastened side pockets. Main: 98% Acetate, 2% Elastane. Trim: 78% Polyamide, 22% Elastane.